For $30 per month, this subscription gets you every Haymarket title in both print & ebook formats, plus a 50% discount on *all* Haymarket books titles via our website. Print books are mailed out every 4-8 weeks, and electronic files are made available via the "library" page for subscribers as they are released. Note that not all Haymarket Books titles released in print formats are released electronically. This subscription excludes the HM and SCSS series-- these are separate subscriptions. Non-US subscribers will be charged an extra $20/month for international shipping. What is the Haymarket Book Club? We’re glad you asked! Members of our Book Club support our publishing mission by giving us a reliable stream of income in exchange for every book we publish. For rates starting at $30 per month you will receive regular shipments that can include as many as 40 books per year or more. We hope you’ll join the hundreds of other members of our book club in helping to ensure our financial health by signing up today. How do I change my address or payment information? Please email us at [email protected] or call 773-583-7884. Address changes and payment methods are managed separately from our website, so you will need to contact us to change your Book Club subscription in any way. When can I expect the next Book Club shipment? Soon! We send new releases as they are published, which often means 3 or 4 books at a time. New books are sent every 4-8 weeks, on average. It’s in the nature of our work that some months we will release many books, and others relatively few. Over the course of a year you will received approximately 35-40 new books as a member of the Book Club. Join the Haymarket Book Club! 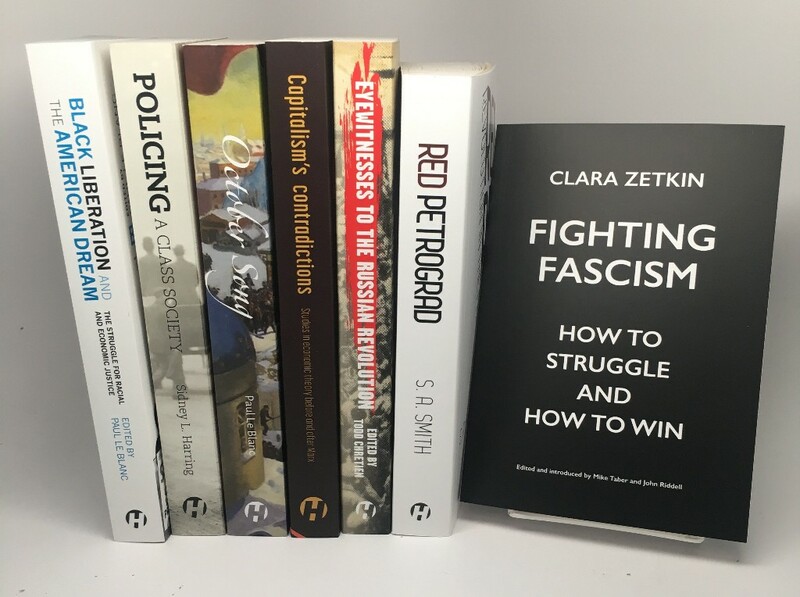 Joining the Haymarket Book Club is a great way to support our project of amplifying radical voices. It’s also a great way to fill your shelves with the indispensable books we publish.